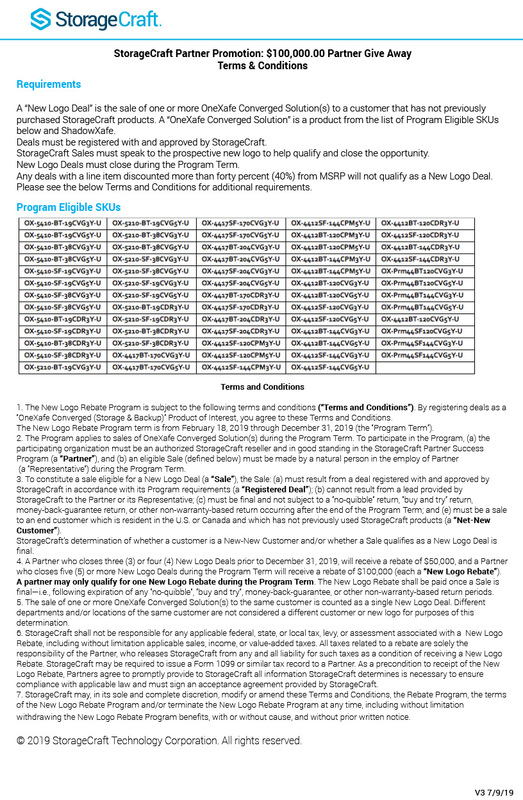 StorageCraft’s most INCREDIBLE incentive program to date! Close five+ “New Logo” deals and the rebate jumps to $100,000! Have a mid-market customer who is a great fit for OneXafe converged? We’ll help you win the deal. Take hold of the opportunity to grab all the dollars off the table. Let’s grow together. Click HERE to connect with the Lifeboat team today! Previous Post Updated Website, Gartner Recognition, Events and much more from Micro Focus! Next Post Welcome to the New Imperva!